Trip to IKI island ! 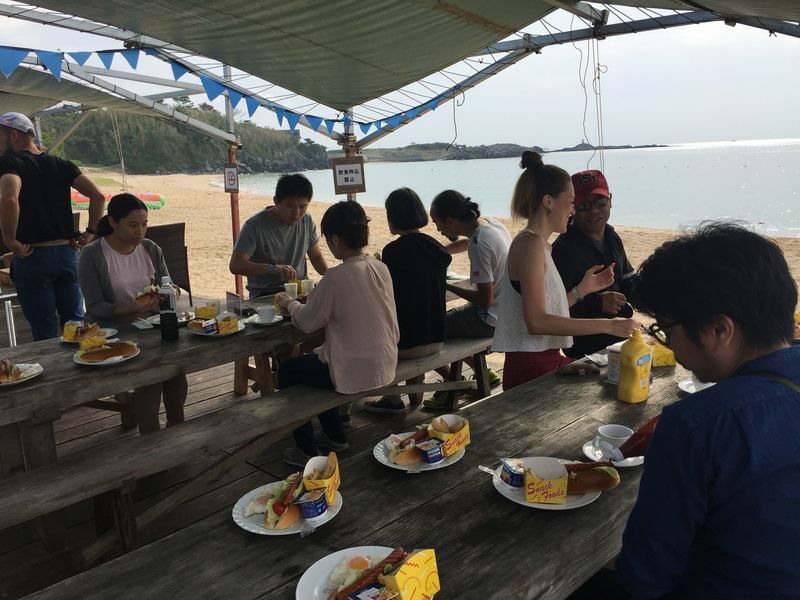 On September 22th and 23rd we went to Iki island, we were about 15people, from various countries such as America, France, Poland, Netherland, Germany, Indonesia and Thailand. 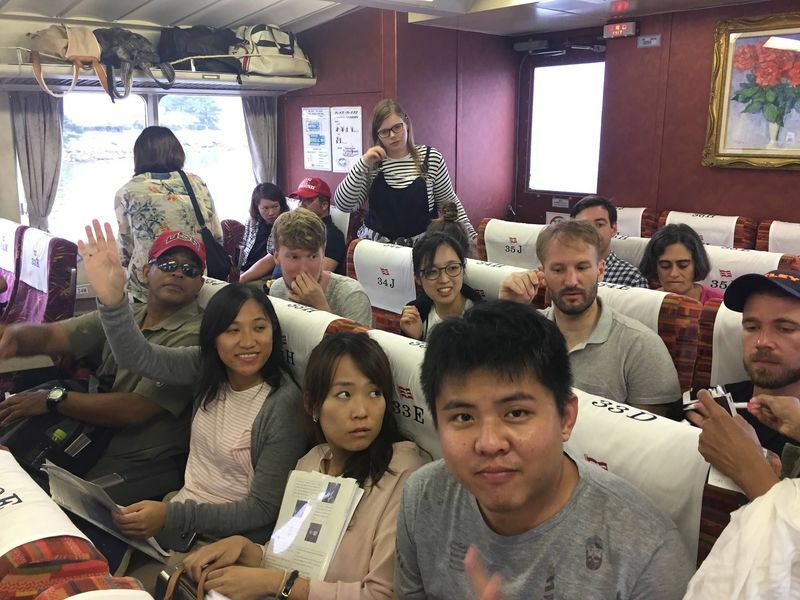 First we took a Jet boat from Hakata bay harbor to Iki island. It was a comfortable 80 minutes ride. As soon as we arrived at the port, we took a micro bus to go to the place where we rent bicycles. They were electrical bicycles which were so easy and light to peddle. We first rode bikes to Kojima shri...ne. This place is also called “Mont Saint Michelle in Iki”. 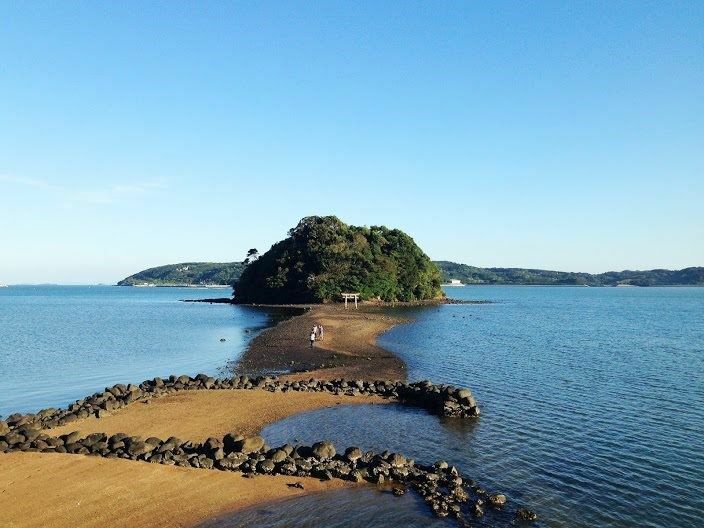 Because the road to the island appears only when it’s low tide. 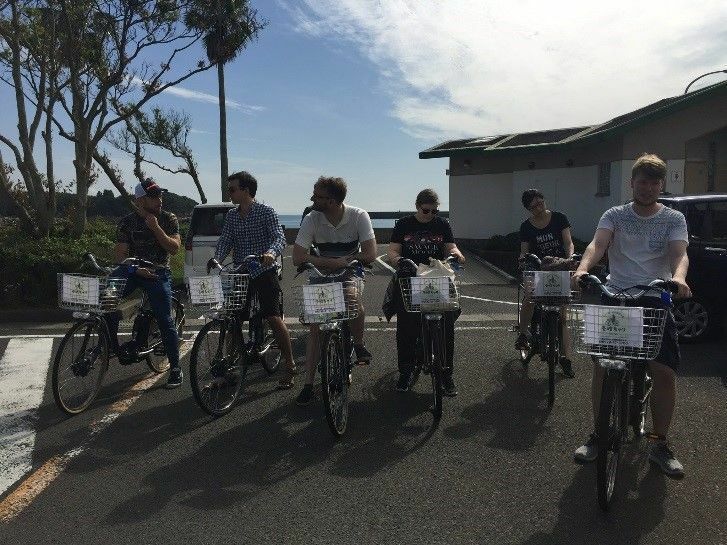 Then we took our bikes to Ikikoku museum. 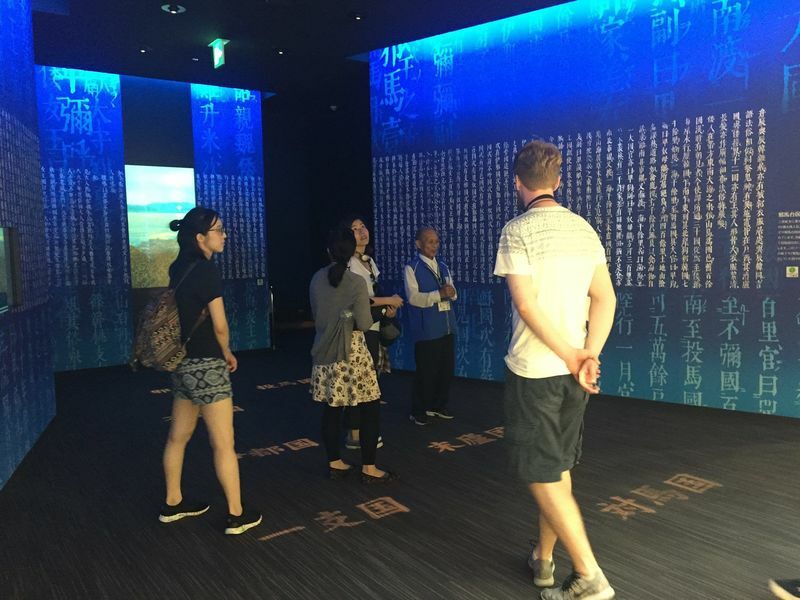 There, we learned the history of Iki island that once Iki was flourished by trading with China and Korea. After the museum we went to a beach where we did camping. 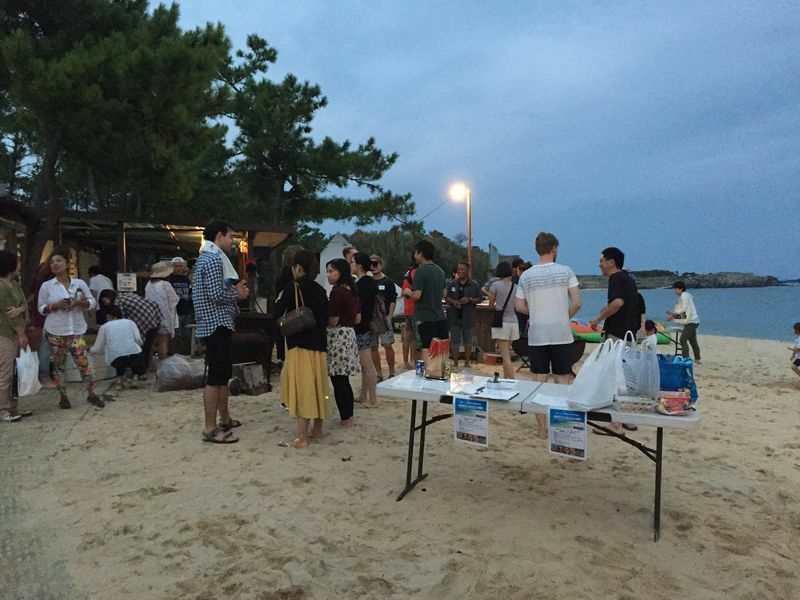 For the dinner, lot of local people came to join for the BBQ. 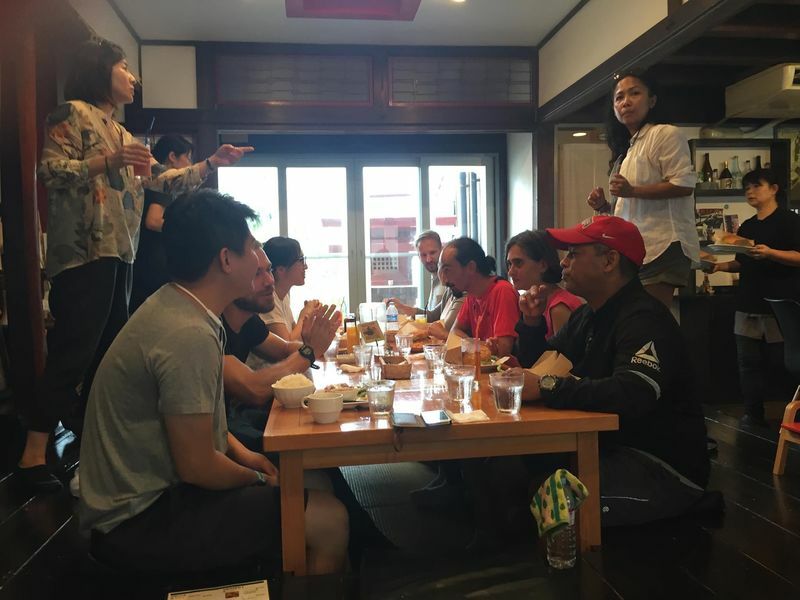 They also brought local foods such as Mozuku(seaweed), himono(dried fish), kamaboko with whole egg inside(fish cake), manjyu(sweet bean), uni(sea urchin) and so much more! Thank you to all of the local people for their friendliness! As the sky gets dark after the sunset, lots stars and a moon appeared. We had a really good time talking to each other and to the local people. The next day, we had a breakfast at the beach and took our bikes back to the place. We took a private bus to go to a restaurant and have delicious lunch. Lots of us took Iki burger. Then we went to Gonoura port and took a pleasure boat to go around for 1 hour. The sea was very clear and beautiful! On the way to the port we stopped by a souvenir shop and enjoyed shopping for about 15minutes. There are lots of products from Iki. 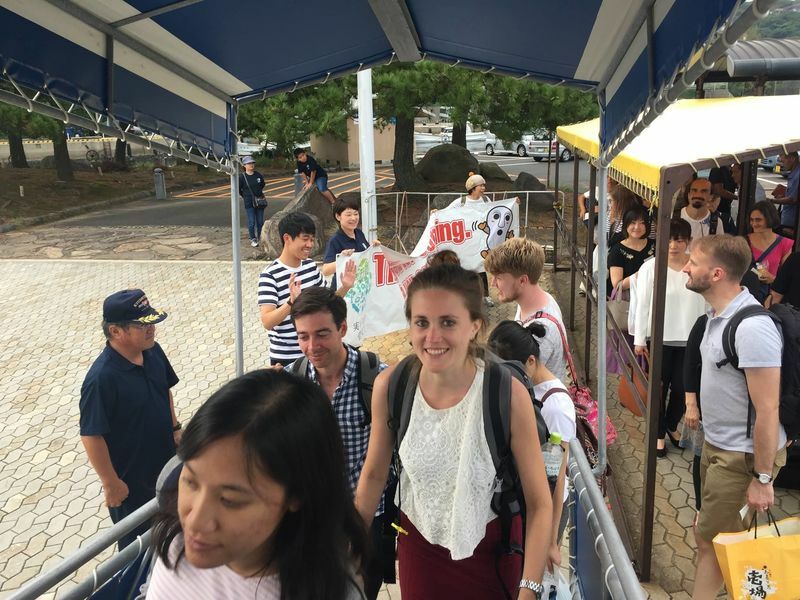 We finally arrived at the port and took the jet boat to go back to Fukuoka. It was such a memorable time we spent together.